I was called in to Starbucks yesterday. As I drove in the early morning light, a blanket of fog shrouded the tops of the trees in the forest near our home. I love fog. Its ethereal presence seems to envelop the world in a cocoon of quiet, peaceful stillness. I feel as though it gives me permission to ease into the day. I never feel impeded by it unless I'm trying to get somewhere. Even then, I'm usually disappointed when it lifts. As my thoughts wandered, a phrase from a book I used to read to our son Michael came to mind. 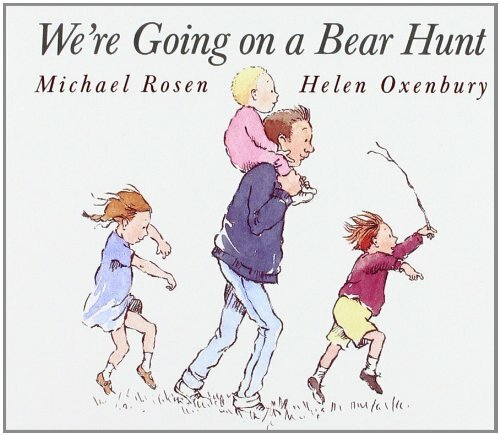 We're Going on a Bear Hunt by Michael Rosen and Helen Oxenbury tells the tale of a family hike in search of a bear. 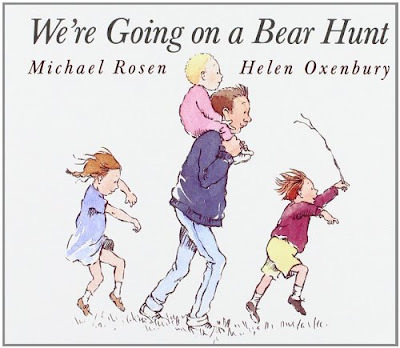 The text begins: "We're going on a bear hunt./ We're gonna catch a big one./ What a beautiful day!/ We're not scared." As they traipse along, they encounter different obstacles--long, wavy grass, a deep, cold river, thick, oozing mud, and a deep, dark forest, among other things. Each time, they realize, "We can't go over it./ We can't go under it./ Oh No! We have to go through it!" God IS with me. He knows my name and has called me by it into this season. I don't need to be confused by the "fog" of this time. The reality, even in the midst of the mist, is that He is present while I wait for it to lift. What a beautiful day! I'm not scared. I've included a video of Michael Rosen performing his book if you're unfamiliar with the title. How would you describe your fog today? Is it swirling about you and confusing your mind, or is it quieting your soul and cocooning you in peace? Let me know how I can pray for you. You can leave a comment by clicking on the pencil in the blue bar below. Jenn! This was great! Cheering you on with love and support.